This promotional watercolor of Kansas scenes was painted by artist Henry Worrall for the Woman's Christian Temperance Union (WCTU). 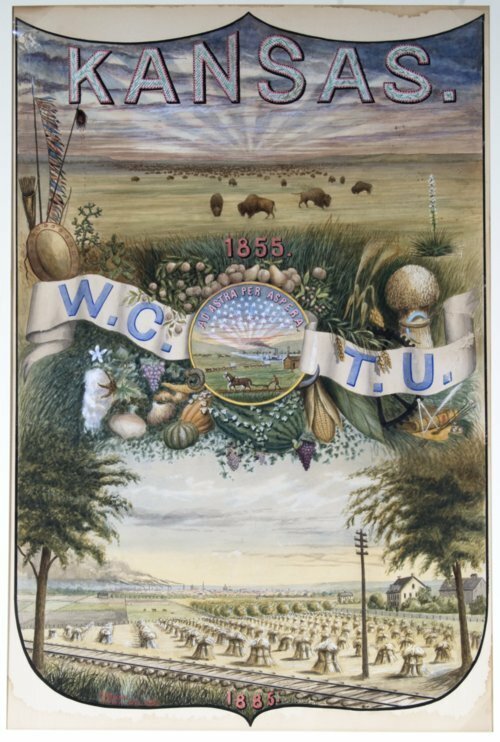 It is believed that Worrall painted the poster for the Kansas chapter of the WCTU to use at the World's Industrial and Cotton Centennial Exposition held in New Orleans in 1884. The poster depicts Topeka and various types of Kansas iconography.